The Australian government has warned China is at “peak steel” this year, with steel output set to decline from next year. Chinese steel production is “forecast to peak in 2018,” Australia’s Department of Industry, Innovation & Science said in a quarterly report this week. After topping out at 886m metric tons, output is expected to drop to 861m tons in 2019 and hit 842m in 2020, the department said. 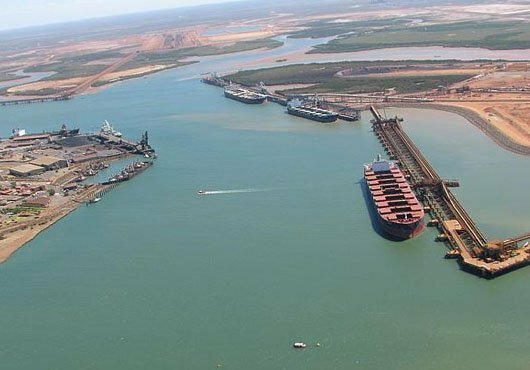 Free-on-board iron ore prices are expected to average $51.90 a ton in 2019 and $50.70 in 2020, the department said. Prices should drop “as a result of declining demand, a well-supplied seaborne market and growing supply of Chinese scrap,” the department said. Morgan Stanley echoed the Australian government’s predictions saying in a note this week that it expects China’s overall iron ore demand will peak this year at 1.28bn tons, and then shrink by 180mtons in the period to 2023. The drop will be driven by “falling crude-steel production and increasing scrap use,” the bank said.